Will the new mortgage rules affect what can be borrowed? Under new changes to the mortgage market, lenders will have to ask you, as the borrower, detailed questions about your spending. They will take into account any expenditure to which you are already committed and will need to know about credit card and loan repayments, hire purchase agreements and child maintenance or alimony payments. You will be asked to provide evidence to help the lender make a realistic assessment of your commitments. Firms will also have to allow for spending on essential costs of living, including what you spend on utilities, council tax and telephones, ground rent, building and contents insurance, running a car and other costs for travelling to work or school, including season tickets. They will also have to make a realistic estimate of other living costs including clothing, household and personal goods and recreation and childcare costs. Another important commitment that lenders will need to take into account for interest-only borrowers is the cost of investments that form part of your strategy for repaying the mortgage at the end of its term. The rules also require lenders to “stress test” affordability of mortgage payments against higher interest rates. Firms will therefore have to consider likely future interest rate movements over at least five years, based on market expectations (unless borrowers opt to fix their rate for at least this period). Even if rates were expected to fall, lenders would still be required to assess affordability on the basis that there is a rise of at least 1% over the first five years. You will be able to transact on an “execution-only” basis but there are strict rules to make sure you understand the process. Choosing the execution-only option means you will not receive advice from your lender or broker. You, as the borrower, are the only one who can instigate an execution-only sale. It will be an option for you as long as you can show you have researched the market and understand the features of – and commitments associated with – the mortgage you want to take out. If you want to make this choice, you will have to supply information about the mortgage you want, including: details of the contract you wish to purchase; the name of the lender; the interest rate you will pay; whether it is fixed, capped, variable or a tracker, and any other features of the rate; the value of the property securing the loan; the length of the mortgage term; the amount you are seeking as an advance; and the method of repayment. As part of the process, the lender will make a declaration that advice has not been provided to you. This declaration will say that the firm is not required to assess whether you have chosen a contract that is suited to your needs, and will inform you that if you proceed you will not be protected by the rules covering the provision of advice. In most cases, you will then have to confirm in writing that you are happy to proceed on that basis. In most execution-only transactions, there can be no discussion between you and the lender. Most sales of this type are likely to be online. Some lenders, and most brokers, will only offer advised sales. - Regular deposits into a savings plan, or an investment product like an ISA. However, there may be requirements to provide supporting statements and projections of returns. - The use of bonus payments or other irregular sources of income, again supported by evidence that could include payslips or statements from an employer. - The sale of assets, supported by a valuation or other proof of value and ownership. 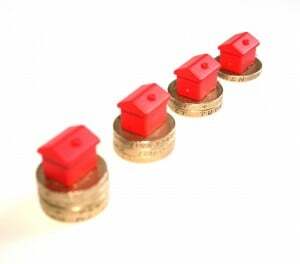 Borrowers will see benefits from greater consistency in the new approach to assessing whether the mortgage is affordable and appropriate to individual needs and circumstances, although they may also experience a process which could feel longer and more intrusive to some.